SEPARATE UNITS WITH FULL KITCHENS!! That's right! 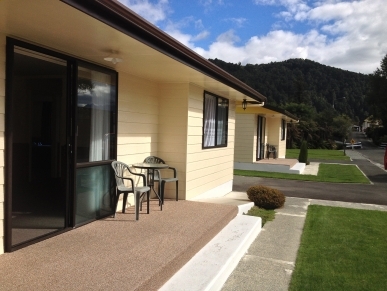 Not often you find your 'home away from home' when staying in motels, but that is just what we offer at Penman Motels on your visit or holiday to sunny Murchison. We offer 1, 2 or 3-bedroom units that are incredibly spacious, each with a full kitchen, fridge/freezer, washing machine and a proper oven - so you can cook your meals with ease if you want to. All bedrooms are separate from the lounge and our 3-bedrooms have 2 bathrooms and toilets, so no waiting for the kids! We are a 2-minute walk to town, where you can experience a great pub meal or wander around and have a coffee at one of our popular cafés. Make us your base if you want to experience the walking or tramping tracks, 4WD tracks, fishing, rafting, kayaking or just find a great swimming hole in the crystal clear waters of the Buller River. 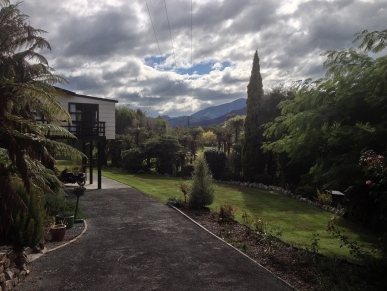 There are lovely views of rural Murchison, looking over established trees and out to the mountains - so this is an ideal place to relax and unwind in the peace and quiet. We are very proud of where we live and what we can offer you as a visitor to our wonderful part of the world. We look forward to meeting you and helping you make the most of your stay in Murchison.